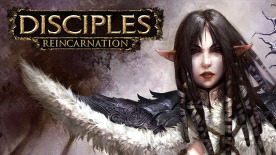 Disciples III: Renaissance is the next title in the award winning Disciples series and represents a leap forward in the evolution of the turn-based RPG/strategy genre. Building on the successes of the first two games, Disciples III: Renaissance introduces a host of new features as well as the compelling gameplay that made the previous titles so popular. Disciples III: Renaissance is a standalone turn-based RPG/strategy game set in an expansive fantasy world, offering players action, adventure and glory. Stunning 3D environments, three playable races, and multiplayer functionality all combine to offer an outstanding gameplay experience.